Moving machinery holds the potential to considerably injure workers or indirectly set off cascading effects that may put the mortal safety of workers at risk. Any machine part or moving process should therefore be safeguarded in a comprehensive and effective manner to avoid any kind of accident which may be regretted in the future. Procuring equipment or servicing their assets according to Occupational Safety and Health Administration (OSHA) rules is the best way for an industrial plant to ensure maximum security for their workers. 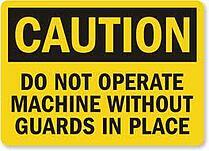 OSHA’s machine guarding rules for general industry applicable on machines that pose a risk are encapsulated within 29 CFR 1910, Subpart O. It is therefore clear that the need for effective industrial guarding is vital, one that may not be missed or avoided. Husky Rack & Wire has taken all these concerns and associated rules into consideration and designed a guarding that ensures maximum worker safety from dangerous assets. Engineered according to OSHA rules and guidelines. Compared to other guarding systems, Husky’s guarding offers four times quicker installation and a series of features that make it the most suitable choice within an industrial plant. The product places safety as the top-most priority, building all the features around it. The use of non-progressive panels and fast release carriage bolts allow easy adaption to changing equipment needs, all the while keeping the safety of workers intact. 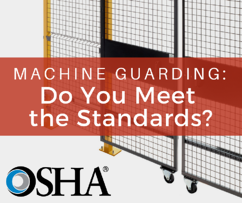 Interested in learning more about Husky Rack & Wire guarding products?